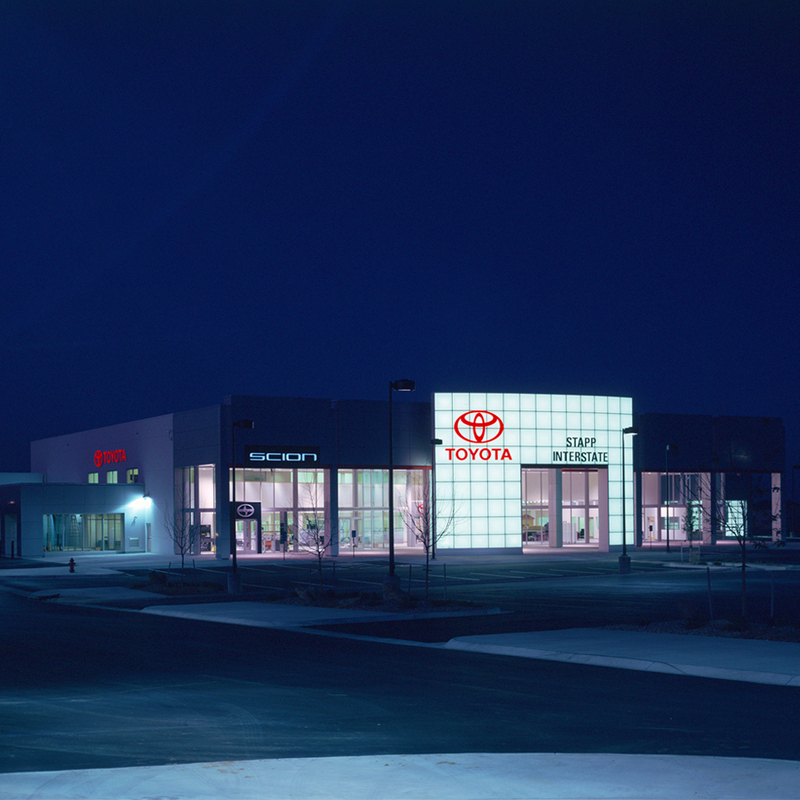 Calcon built this Toyota dealership in Frederick, Colorado for Stapp Toyota. We used our eye for design when it came to the front of the south-facing façade, which is made up of ACM metal panels fabricated in “Toyota Silver.” These panels also make up the exterior of the service breezeway and the new car delivery area. Half of the service stalls contain in-ground lifts, workbenches and convenience power with telephone data at each stall. There is also an off-road car display located on the west end of the property, which was built using boulders and road-base, giving it a rugged feel.